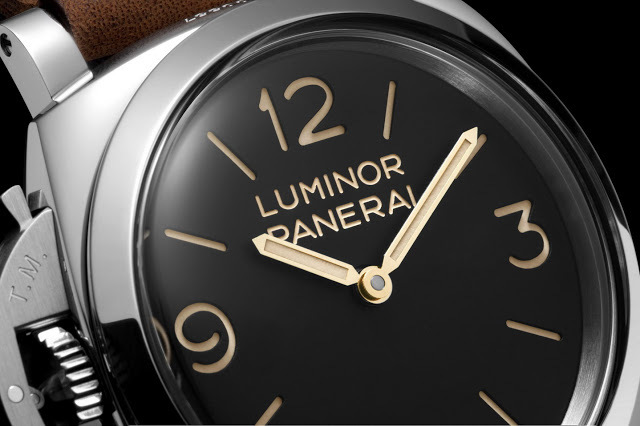 The first watch revealed from Panerai’s SIHH 2014 line is the Luminor 1950 Left-handed 3 Days PAM557, equipped with the in-house P.3000 movement. 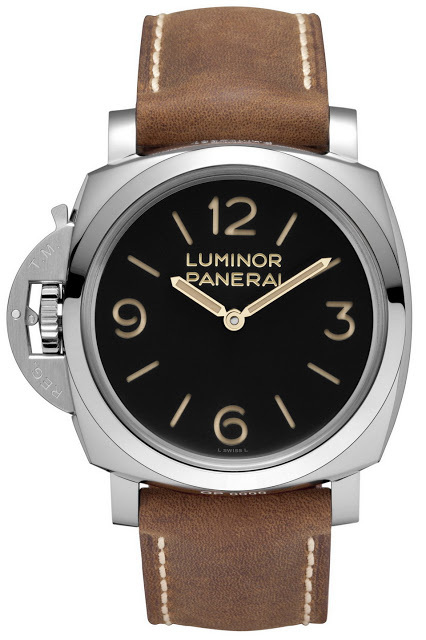 The Luminor 1950 Left-handed 3 Days PAM00557 has a 47 mm steel case and a Plexiglas crystal, making it essentially a destro (or left-handed) version of the Panerai PAM372. Though most Panerai watches have the crown on the right, some of the thirties originals made for the Italian navy were made with the crown on the left for left-handed marine commandos. It has the same dial details as the PAM372: a sandwich construction (the dial has cut-outs and a plate covered in luminous paint below) as well as engraved text. 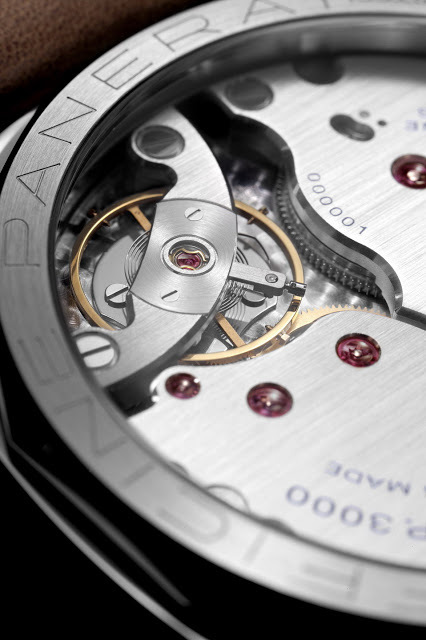 The new PAM557 uses the P.3000 movement, which is hand-wound with double barrels and a three day power reserve. It is delivered with a rubber strap as well as a spare Plexiglas crystal. The PAM557 will retail for €8200 (~US$11,100) before taxes with delivery around middle of 2014.